ENVIRONMENT by Neenah Paper produces superior print quality while not compromising environmental standards, as the complete line is recycled with no less than 30% post-consumer waste fibers. When you need a paper that demonstrates your commitment to our ecosystem, but can't afford to sacrifice quality, turn to Environment. The A2 80# Cover Environment Ultra Bright White cards can be used in a multitude of applications. Environment is manufactured by Neenah Paper in the USA. Environment Ultra Bright White is Recycled 80% post consumer waste. Environment Ultra Bright White is also Acid Free, Lignin Free, PH Neutral, Archival Properties. 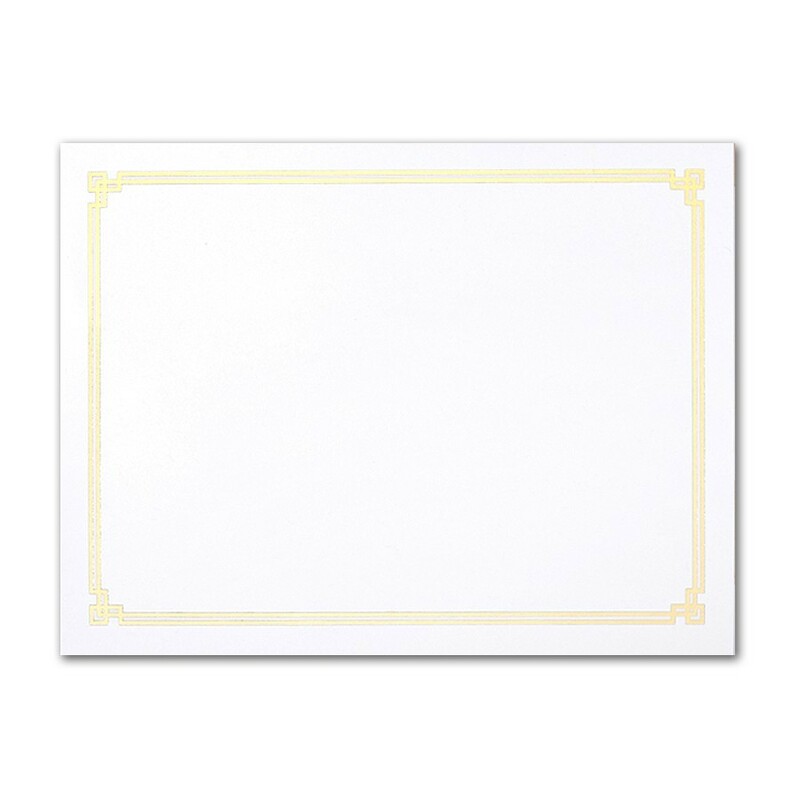 Environment 80# Cover Ultra Bright White A2 Greco Border Gold Foil Cards Bulk Pack of 250 is a stocked product by Announcement Converters ready to ship the same day.